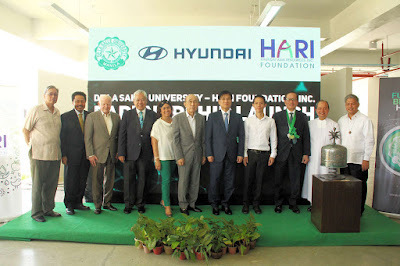 HARI Foundation, Inc. (HFI) Chairman Richard L. Lee paid tribute to his Lasallian roots and affirmed his personal advocacy for innovation in the sciences with the launch of the Richard L. Lee Engineering and Technology Block. DLSU was recently proclaimed as the only private university in the Philippines to make it to the 2019 Times Higher Education (THE) World University Rankings for outstanding research-intensive universities. Said rank puts DLSU in the top 3 percent of more than 22,000 higher education institutions in the world.